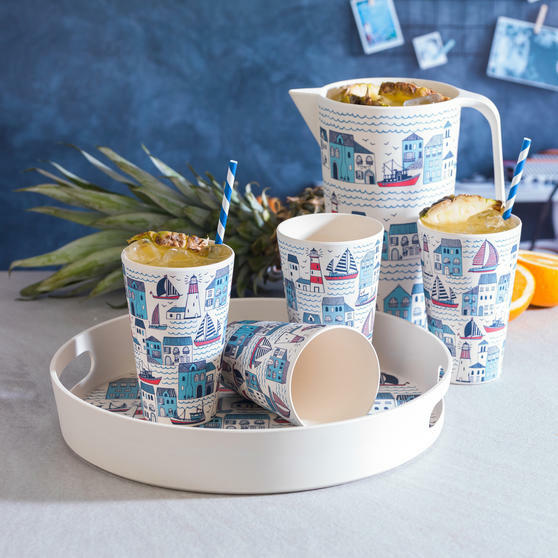 Enjoy serving, water, juice or even cocktails from this brilliant Cambridge jug which has a colourful design to stand out. Made from bamboo which has an exceptional strength to weight ratio, the jug has natural durability making it a superb alternative to plastic. With a 1.5 litre capacity the jug has plenty of space for multiple re-fills, perfect for leaving on the table at meal times and it is dishwasher safe. 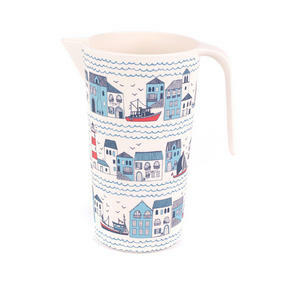 A wonderful addition to any home the trendy jug is strong, stylish and practical. Made from natural bamboo, this wonderful drinks jug from Cambridge is an eco-friendly alternative to using plastic jugs. With a capacity of 1.5 litres the jug is ideal for serving drinks to guests or leaving on the table during family meals. The jug features the vibrant Plymouth design which has been inspired by nature so it will bring wonderful colour to your home. 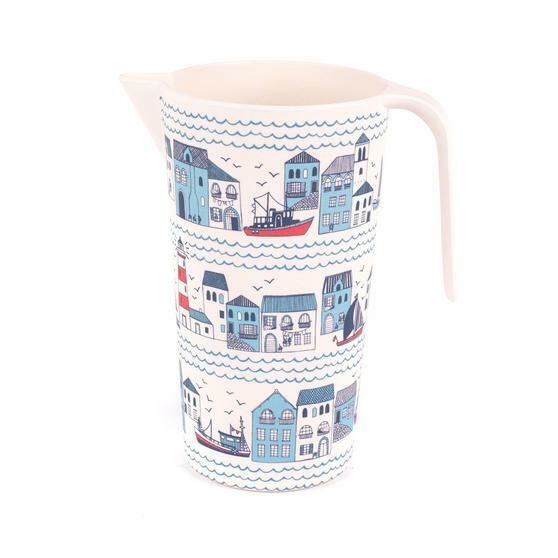 An ideal addition for any household, the brilliant jug is also dishwasher safe so you can clean it effortlessly after use.